Do you compost? Are you overwhelmed by the thought of it? We have been composting for years and we love it. We get such rich nutrient soil with little to no work. 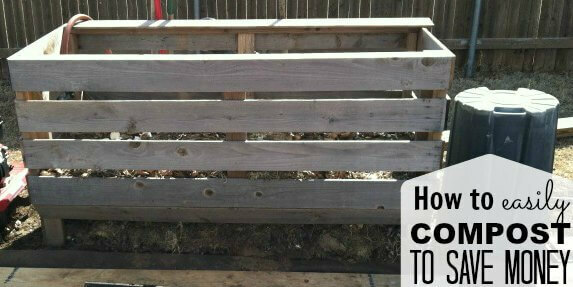 With Spring gardening right around the corner, find out how to compost at home now. Let me address some of the questions you might have about composting first. Trust me… it is easier than you might think. Let’s get started! 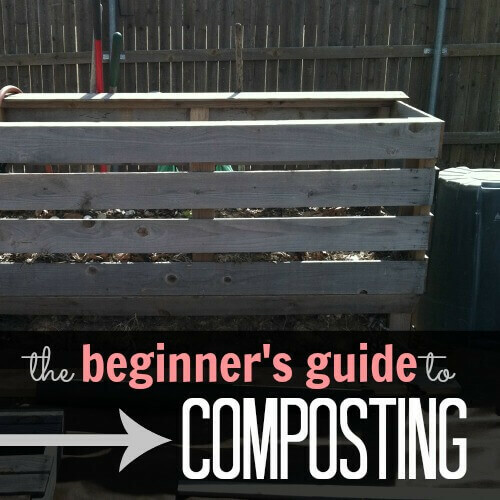 How do you set up a compost bin? Compost is basically a nutrient rich soil from organic waste. Wait, what? Basically speaking, compost uses the food scraps from your kitchen as well as the green waste from your yard to create a soil that is great for your garden. If you know the right things to put in your compost, you will not have to work hard to have a nice rich garden soil. You will be have the best soil and all with using what you have! Pick a place in your yard where you want your compost pile to go. We have a couple of bins like this that we bought from Sam’s Club. You also need to know what to collect. 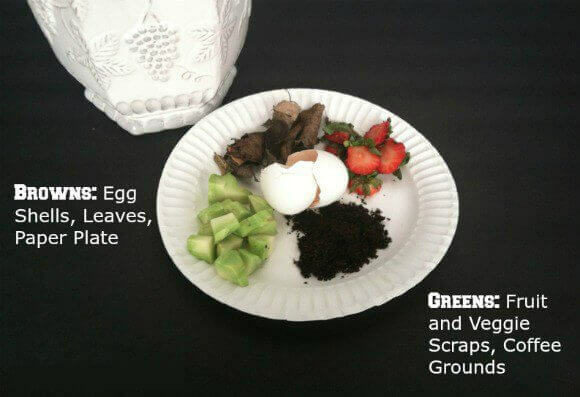 What you can add to your compost is broken up into two basic categories – browns and greens. Some browns include leaves, newspaper and sawdust. These provide carbon to your compost and should make up about 60% of your pile. What kind of food scraps can be composted? Some greens include grass clippings and yard waste, tea and coffee grounds (and filters) and fruit and vegetable scraps and other organic material (peels, but no seeds). These provide nitrogen rich ingredients to your pile and should make up about 40% of your compost toward the center of the pile. 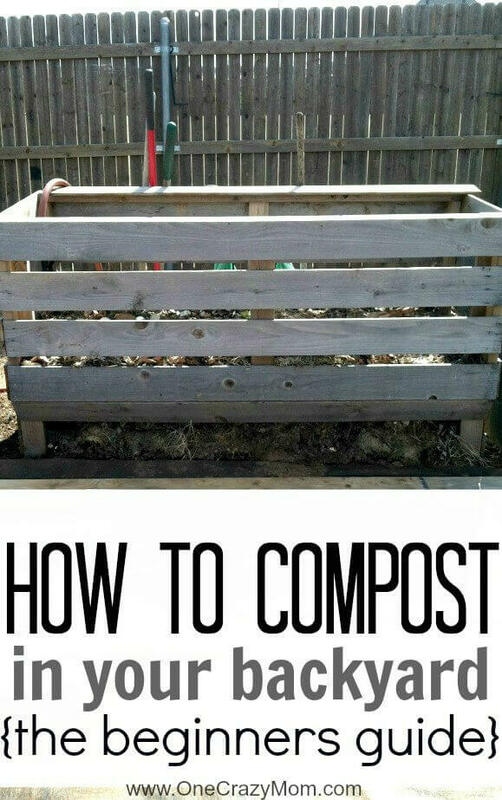 Backyard composting is very simple! You will have carbon rich soil. I keep my fruit and vegetable scraps in a pretty ceramic container like this one. 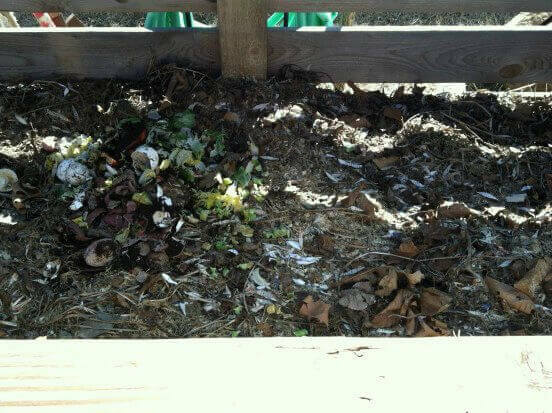 It is one of my kiddos’ daily chores to take the kitchen wastes out to the compost bin. How often do you turn your compost pile? Simply add your browns and greens a little at a time. Once you have a new layer on top, you can water it a bit to help the bacteria grow (and thus breakdown your waste). It is also a good idea to mix up you pile every so often. Depending on the size of your composting bin you can use a garden fork or a handy dandy compost aerator (this is an awesome tool). Turning the pile is easier with these tools. You will love having the finished compost. What not to put in your compost pile? Composting can save you money in a variety of ways. For one, you will be reducing the amount of waste you actually “throw away”, which means fewer trash bags and less big trash cans at the curb. You will also save money because you will be creating your own nutrient rich soil, which is not only cheaper for you, but it is way better than any soil you could buy from your local home improvement store. Finally, you will be saving money if you use your compost in a vegetable garden because you will be able to reap a high yield of delicious, healthy vegetables, thus reducing your cost at the grocery store. Now that you know that basics of how to compost, let us know what you think? Will you try your hand at composting? Stay tuned for how to start composting. Do you already compost? What tips do you have for others? Get everyone involved and find out all about composting with kids. It’s a great task for the entire family to help with. It teaches discipline and the kids can see their hard work pay off. We love having everyone help even if there might have been a little resistance at first. 🙂 Let us know how composting goes for you. I’m always looking for new ideas and tips. We love working in the yard! Save on Landscaping- How we saved thousands and you can too!